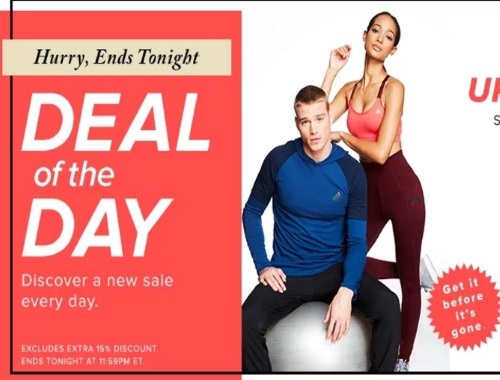 Hudson's Bay's Deal of the Day today is up to 30% off select Activewear & fitness shoes for everyone! This includes women, men and kids! Excludes extra 15% off discount. Offer ends tonight, Monday, February 20 at 11:59pm ET.